Over the past couple of weeks the weather has been very summery. You know what that means? We're outside as much as possible. 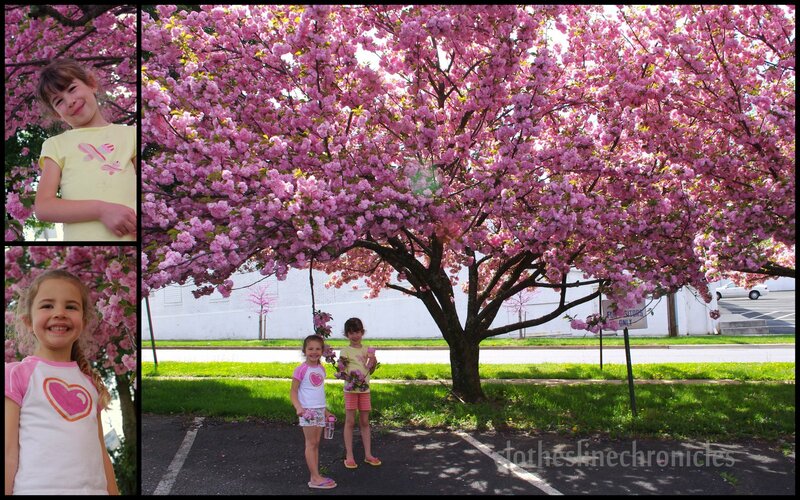 While waiting for some friends one day we had to enjoy this gorgeous pink tree. I don't know what kind of tree it is but it looks like a tree full of carnations. It was warm enough for swim suits and sprinklers, walks to a playground for some seriously high swinging, and playdates with friends. 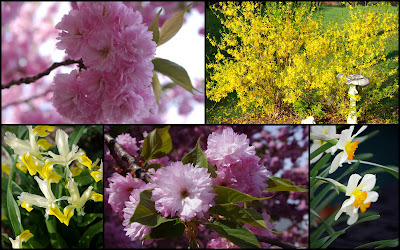 The early warm weather also brought about lots and lots of blooming. 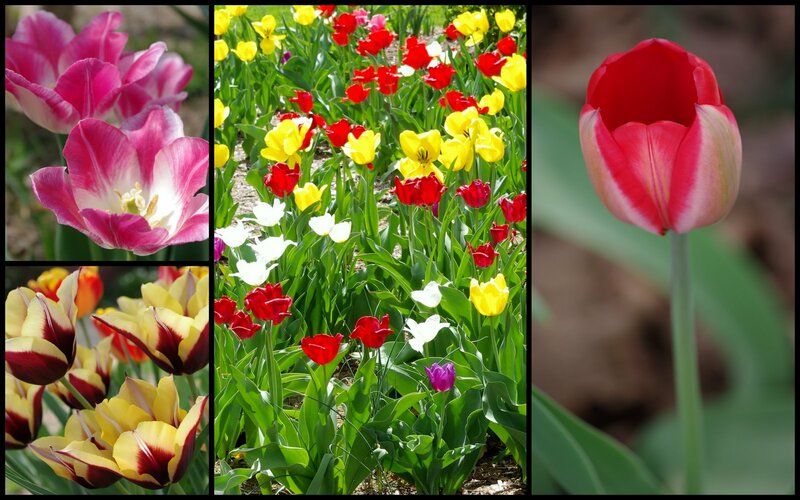 Above is a variety of tulips. 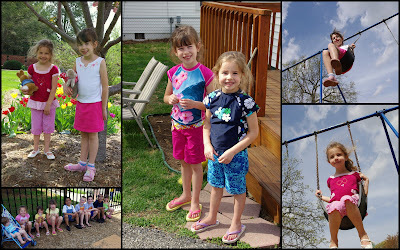 Some from our yard and some from our walk to the playground. Below is a couple of close-ups of the pink tree, a fabulous forsythia, some yellow irises, and my very own daffodils. 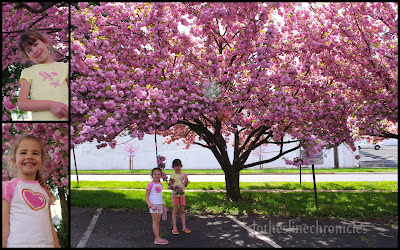 We have one of those trees in our front yard - it snows pink every spring! I believe it is some ornamental cherry tree (bears no fruit). They sure are purty. Ain't this weather grand?! Man I wish we lived closer so that I could come over to your house and you could teach me how you do those cute photos. I am with you on the warm weather (it is still far from being really warm here, but it is getting better).